This is an amazing database that provides consumer information on toxic chemicals and human health. Safety ratings are provided on everything from cosmetics, to household products, to pesticides in foods. This site is definitely worth checking out! Great resource from the National Institutes of Health that allows you to search up to date safety information on all FDA approved medications. You can even search the filler list for medications which is invaluable if you suffer from allergies to dyes, lactose, soy, corn or other ingredients that are commonly used as fillers in prescription medications. NAMI is a non-profit that provides support, information and advocacy for individuals and families impacted by mental illness. 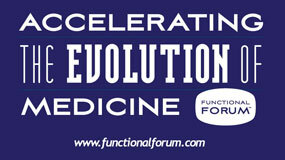 The Institute for Functional Medicine (IFM) strives to change the way we do medicine and the medicine we do. The IFM's mission is to reverse the epidemic of chronic disease via the engines of education, research, and collaboration. Use the link to the left to shop for a variety of high quality nutritional supplements. If you are an established patient, contact me via the patient portal to obtain the access code for 30% off retail rates.